Looking forward to this read a thon. Not a clue yet as to what I will read but am sure will make up my mind nearer the time. oh joy! I had already determined July and September will be Science fiction/speculative personal challenge months. So that's what I'll be reading. Posting at Into the Abyss Reviews. Knock down my TBR pile. Thanks for having this fun time. I've signed up, I know I will be able to read during the week but I might not be able to do any updates or wrap up post in time. I've been wanting to tackle my TBR pile for a while and this will be a great opportunity for me to do so. Can't wait for it! I'm looking forward to taking part in this read-a-thon! I see read-a-thons all the time on BookTube so I'm excited to finally participate in one. I'm going to be working on the YA books my students voted on from our classroom library, ones I haven't read yet myself. Thanks for the challenge! Can't wait to tackle some books! I hope to finish the 19 ARC copies I got! This definitely will be a challenge for myself..
Added incentive to read for other summer challenges! Hi Michelle. I messed up, (incredibly twice now in less than 10 minutes! I would make fun of me but the way this has gone that would turn bad). I accidentally signed up twice. The correct one to use is #31. I am so sorry! I blame lack of coffee and excitement over the Readathon. I have been looking forward to it for awhile. 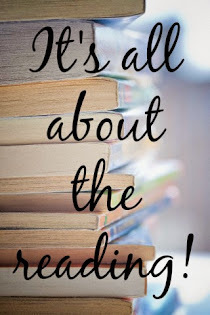 I have been excitedly going through my ever growing TBR for the perfect books. I am setting my goal for a book a day. I'm participating in this read-a-thon for the 1st and am looking forward to finish reading some books that I've started but not finished. Hi! 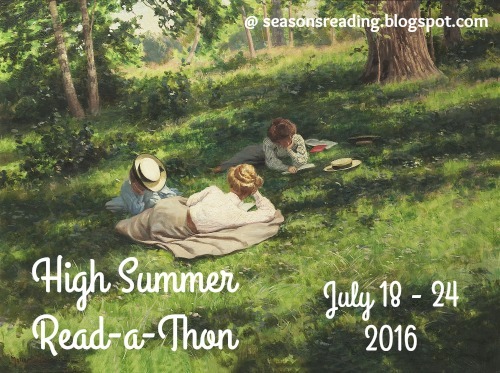 I haven't participated in a read-a-thon for awhile and I have been neglecting my blog. This will be a great way to get back on track. Thanks. Thank you for the heads up--it will be great to whip my reading into shape this week! Just started my blog, planning on doing some readathons for a while. Have only done one real readathon before, the Dewey 24 hour one. It will be good to have more than 24 hours. Thanks for inviting me.